My name is Elischeba, born in Cologne I started my career as journalist in January 2005 in the editorial office of a diving sport magazine. In addition I work currently as a guest writer for the magazine „ELTERN“. My Model and Mama Blog started in September 2011 with my first pregnancy and deals with items like fashion, toys, travelling with kids, family trips, life as parents, lifestyle and product tests & presentations. On 14th February 2015 my daughter was born. As successful model and sophisticated TV host authentical photos and self-made videos are trademarks of my blogs. Attendance in individual enquiry journeys especially family trips. examples: Kroatien Urlaub mit Kleinkind, Mallorca mit Söhnchen Leon während der Schwangerschaft, Familotel, Club Cala Pada auf Ibiza and Esel reiten in Zeeland. New coop-models and other ways of cooperation are also possible depending on an individual agreement. My readers like my fair and authentical reports and articles. All my articles, free or sponsored, represent my personal opinion and my experiences. 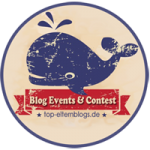 Sponsored guest posts and editorials with links to customers´ websites should fit to the intention and the items of the blog. In addition we respect the GOOGLE guidelines concerning dofollow / nofollow links – that means: sponsored articles are marked discreetly as cooperations and only nofollow links are used therein. We are not interested in requests concerning pure link exchange, database inputs & informations and publishing press reports. We are also not interested in requests of agencies which do not respect this codex. If you want, you can reach me directly by using my personal email address info@elischeba.de . In addition my management is available for an individual consulting and will answer all your questions. Here you can download the media data of Elischebas Model & Mama Blog as PDF file using the download button. 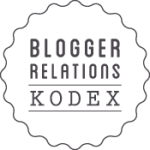 Elischebas Model & Mama Blog respects the Blogger-Codex and the Blogger Relations Codex, is member of the BRIGITTE MOM Blogs and the Top-Elternblogs.